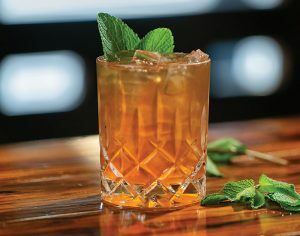 We are seeking a Cocktail Artist to join us at micro bar & bites. Bartending experience required while ensuring beverage standards and service for staff and guests are met. Understanding creative cocktails, wine service and craft beer with serving experience a must. Fast paced, high service standard restaurant or bar experience required. Serving It Right a must. We offer successful candidates’ seasonal employment, competitive wage and benefits package, daily staff meal and access to our various training seminars. 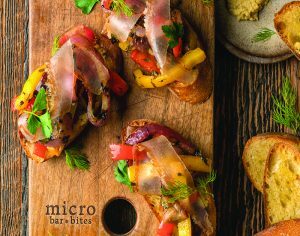 We are now accepting applications for our micro bar • bites Culinary Team. As we continue to build our team, we are seeking motivated, talented cooks who enjoy a challenging work environment while continuing to learn and improve their craft. We offer successful candidates year round employment, competitive wage and benefits package, daily staff meal and access to our various training seminars. Locally sourced products delivered all year round. Direct relationships with our farmers. Field trips scheduled through the year. Fish and meat butchery, with some whole carcasses being processed. Preserving of seasonal bounty throughout the year. Community involvement through the various charitable events that we participate and support. Opportunity to advance your career within our company’s outlets. Saucier and Entremetier station experience required. Red Seal preferred, or 3 years equivalent experience, Food Safe Certification. Must enjoy creating tapas, pasta, internationally influenced cuisine, meat and fish butchery, and daily features for our guests. Like the name eludes, micro is a small but excellent low key spot for a drink made with pride by people that care. Love the quaint atmosphere first off, the options of beer is always great as are their creative cocktails. Love, love, the duck fat/rosemary popcorn! Great place and great atmosphere, food was delicious as well as the drinks, service and staff was good, best part is that you find specialty food, not the same stuff every other bar serves.